Today, Palestinian Authority President Mahmoud Abbas addressed the UN Security Council, discussing the failure of US leadership and laying out his proposal for a way forward. 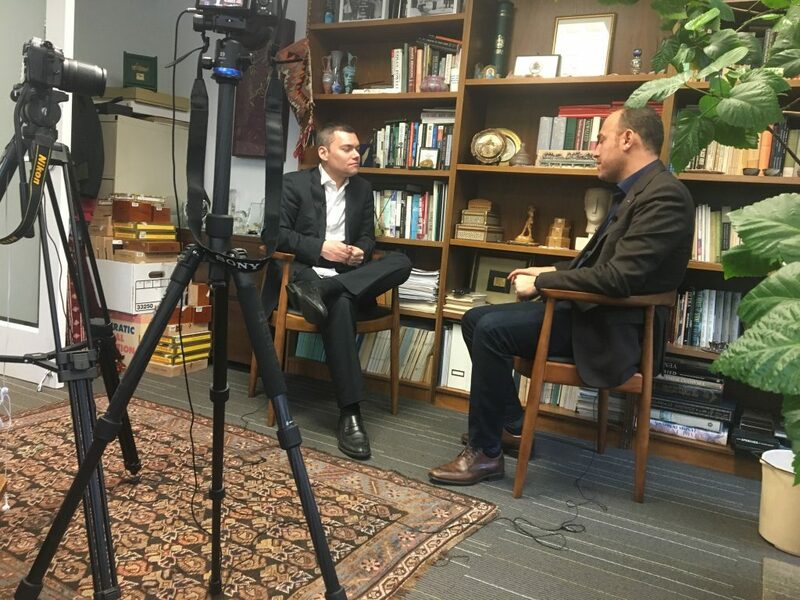 Last week, in anticipation of Abbas’ UNSC address, FMEP was proud to host a conversation between the PLO Ambassador to the United States, Husam Zomlot, and FMEP non-resident fellow Peter Beinart. In this far-ranging conversation, Ambassador Zomlot lays out, with directness and candor, his views on the solution to the Israeli-Palestinian conflict, self-determination for both Jews and Palestinians, Hamas, elections, the future of security cooperation with Israel, the future of Jews (as distinct from settlers) in a future Palestinian state, Trump’s policy shift on Jerusalem, the Jewish connection to Jerusalem, and the status of the PLO mission in the United States. [00:36] Question on what the Palestinians see as the ideal solution to the Israeli-Palestinian conflict. [02:29] Question on Palestinian recognition of Jewish self-determination. [06:05] Question on the Palestinian Authority’s continued defense of the two-state solution despite the failure of the Oslo agreement. [08:48] Question on whether the Palestinian national movement should strategically shift to a civil rights struggle under the premise of a one-state solution. [16:03] Question on why the Palestinian Authority has not held national elections since 2006. [19:12] Question on why the Palestinian Authority does not challenge Hamas to hold elections in Gaza and also hold elections in the West Ban (without Gaza or East Jerusalem voters). [20:50] Question on how Hamas has moved closer to the national camp. [22:12] Question on whether the Palestinian Authority should be disbanded. [24:40] Comments on ending the Palestinian Authority’s security cooperation with Israel. [25:40] Question on whether Israeli settlers (as opposed to Jews) will be allowed to live in a (future) Palestinian state. [27:20] Comments the U.S. proclamation declaring Jerusalem the capital of Israel. [29:08] Comments on the Jewish connection to Jerusalem and question on Yasser Arafat’s statement denying that there was a Jewish temple in Jerusalem. [32:00] Question on the status of the Palestinians’ diplomatic presence in the U.S.